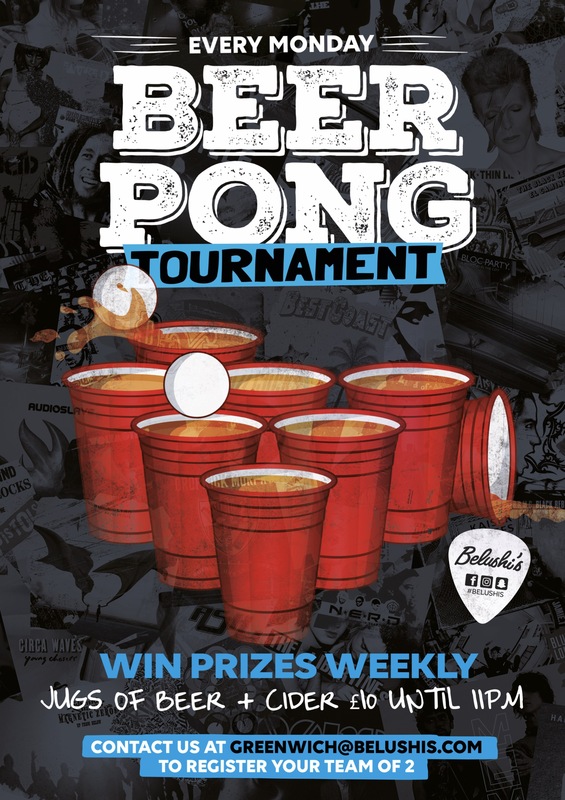 Get your team of 2 together and participate to the hottest beer pong tournament in Greenwich! FREE to enter the competition and only £10 jugs of beer and cider. Take up the challenge!